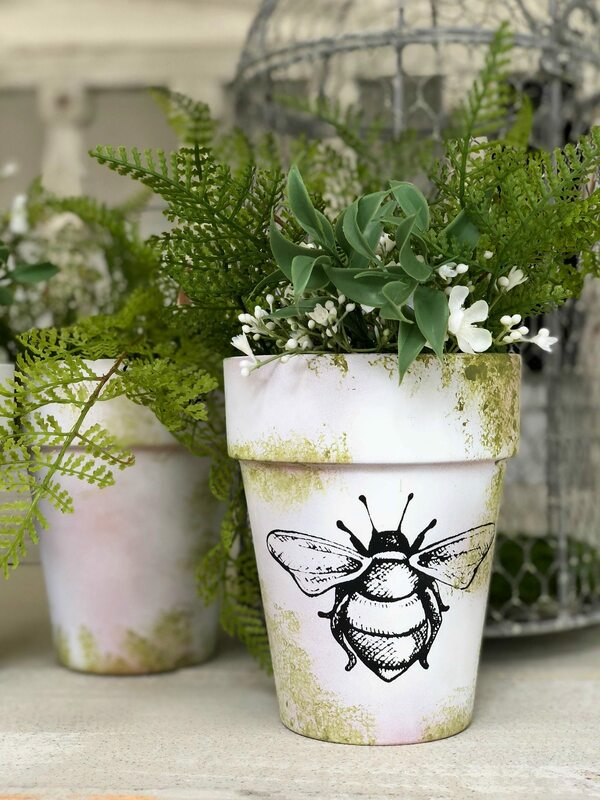 Today I’m sharing a quick and easy idea for DIY Moss Covered Clay Pots. 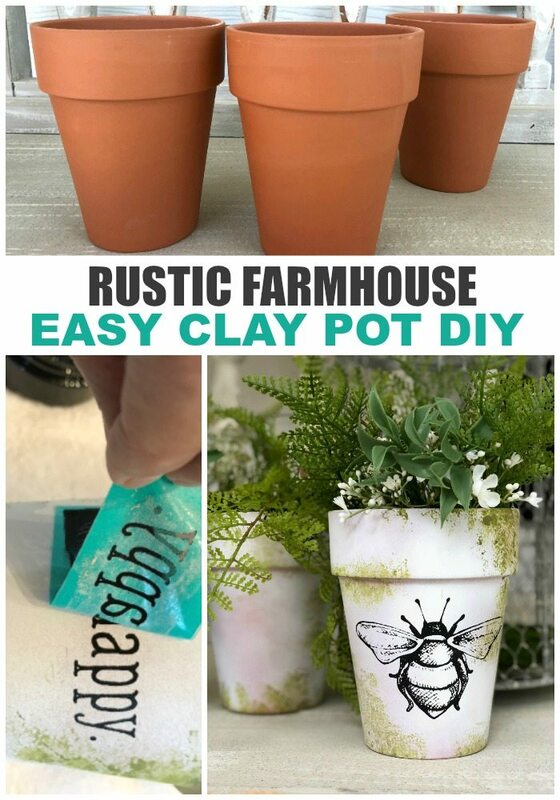 You can do so much with a simple clay pot. 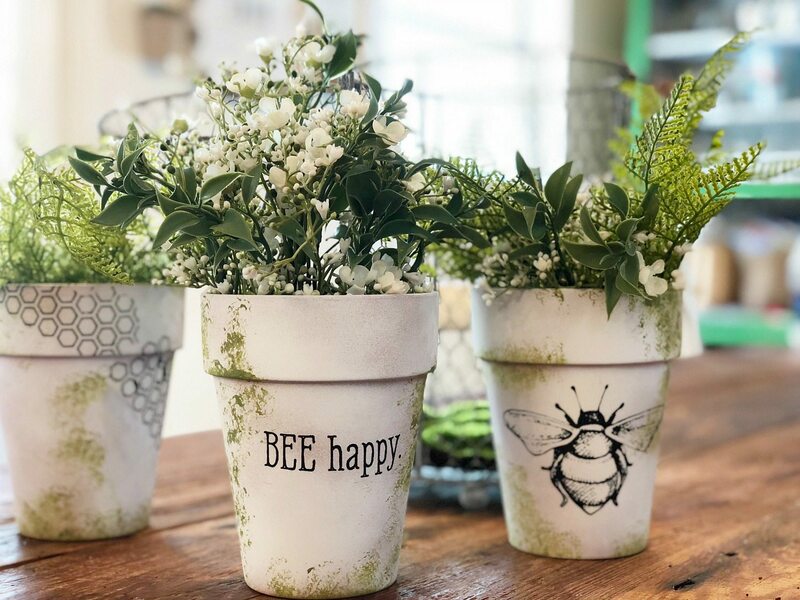 They can easily steal the show with a little paint and greenery, they become the life of the centerpiece. 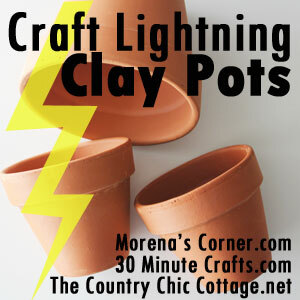 I’m joining the Craft Lightening bloggers today for this fast and easy project. 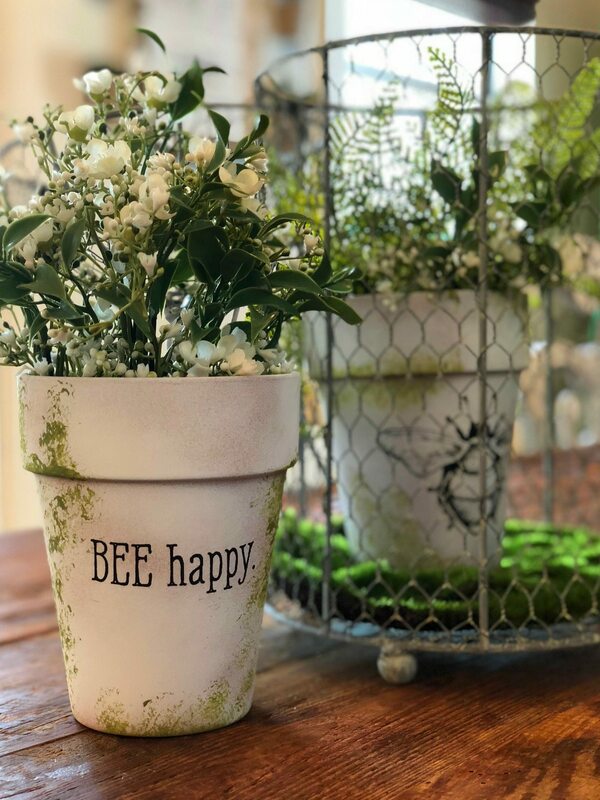 To create a rustic centerpiece for my farmhouse table, I used faux greenery, white flowers and three clay pots. 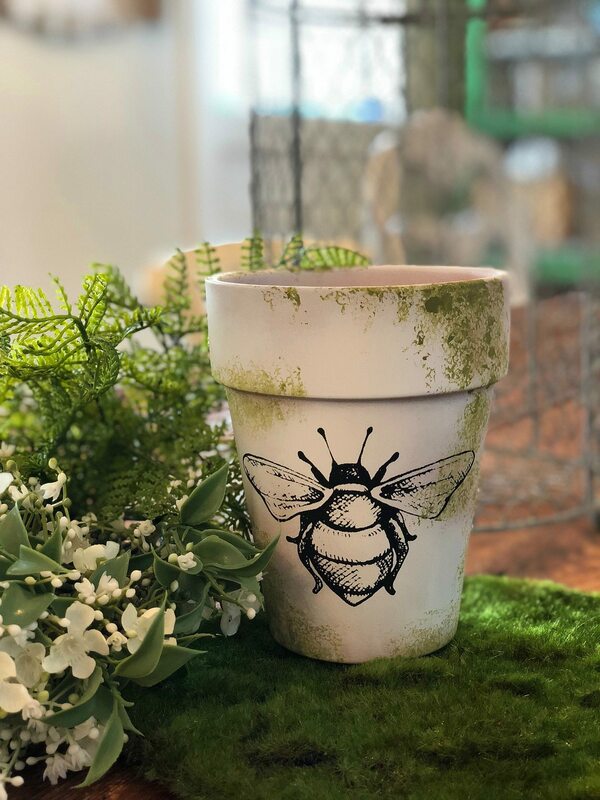 This fast and simple idea is easy to create with spray paint, craft paint and Chalk Couture transfers and chalkology chalk paste. I am including affiliate links to the products used for this project. 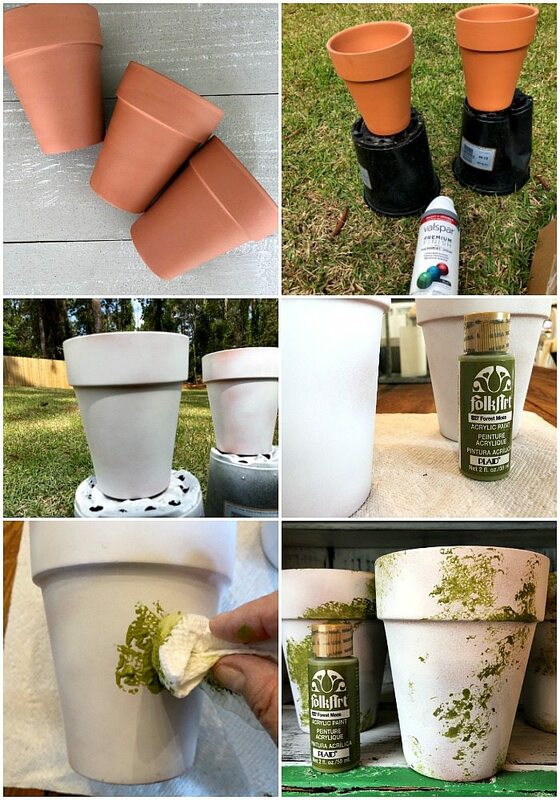 I sprayed the clay pots with one light coat of white spray paint. I wanted some of the orange of the pot to be visible. In other words, not perfect spray coverage. After the spray paint dried, I used a paper towel to place the Folk Art Forest Moss craft paint randomly around the pot. 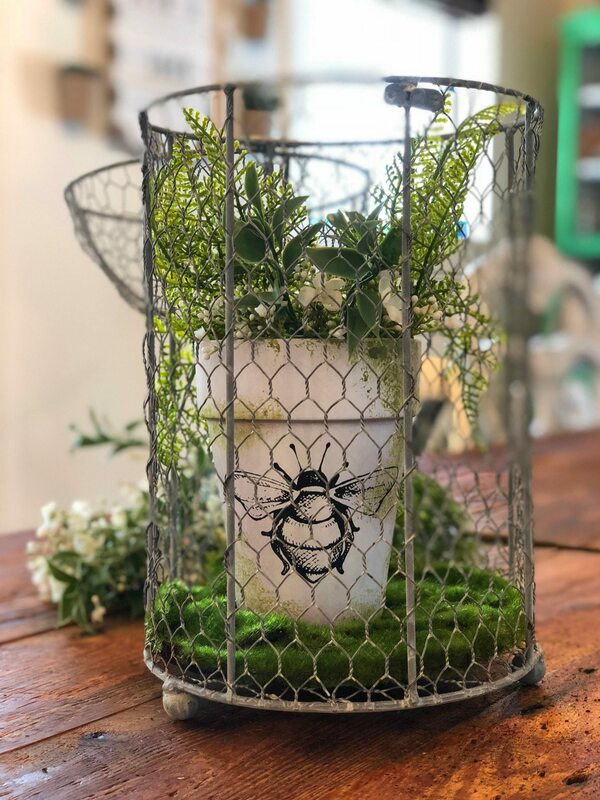 After filling the clay pots with greenery, I placed one of them in a chicken wire birdcage. I found it at Michael’s, on sale! Oh goodness… where is my sage green paint? I need to make something with faux moss on them STAT! Thanks for the inspiration! So spring! I love everything about these! The color, the bees, everything! This beeyond is darling. I am adding it on my must try list. 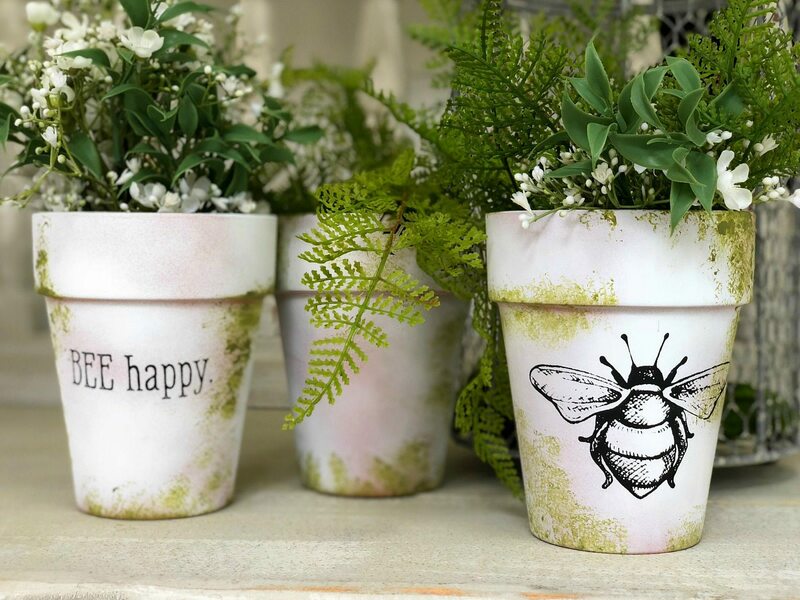 Thank you Linda, I love a quick and cute project, don’t you! Yes I do! There the best! 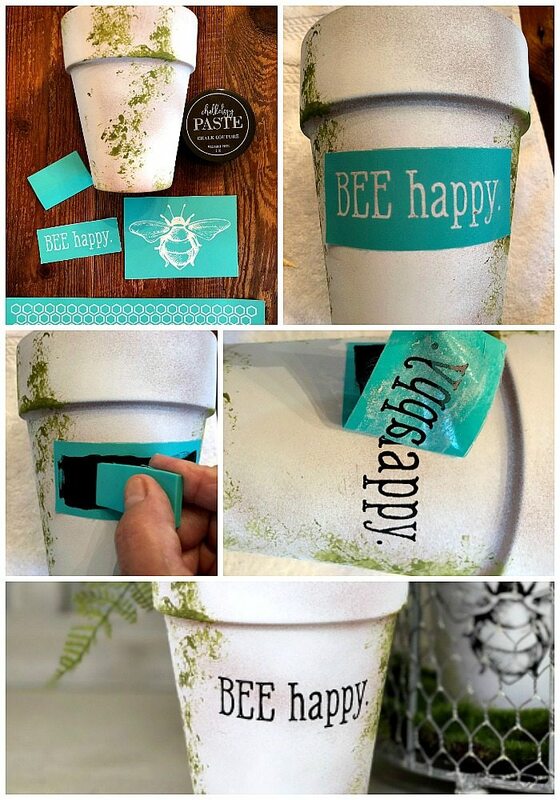 This is so wonderfully rustic and bee-utiful! Thanks! What changings.. I love it. You make it look so simple, Debbie. I’ll only do container gardening til we move so this will fit in nicely. Thanks. These are stunning! I’m always a sucker for a good pun, too! 😉 Happy Sunday!